The beautiful and charismatic actress and model, LisaRaye McCoy was born September 23, 1967 in Chicago, Illinois to a successful business man and accomplished model. She is the proud parent of beautiful 23-year-old Kai, who has started her journey in her mothers footsteps as a model for Apple Bottoms. Her daughter is an inspiration for her love and community involvement with young women. LisaRaye launched her self-esteem driven teen pageant, Miss RayeDiant Jewels, the project is very close to her heart. The former first lady of the Turks and Caicos Islands is not only an accomplished actress but an entrepreneur in her right. Known for her trademark love for the color white LisaRaye is an exquisite vision whether giving motivational speeches for universities and corporations or making highly anticipated appearances on popular talk shows. LisaRaye is best known for her role as Diamond in the movie “Players Club”, as well as her role as Neesee in the comedy series, “All of Us”. She has also had feature roles in a number of popular movies and television series. 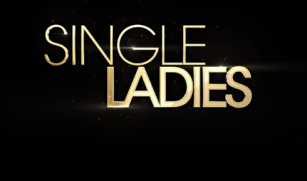 She stars in the 2nd season of #1 VH1 romantic comedy series, “SINGLE LADIES.” Her biggest accomplishment to date is her number one rated reality show, “The Real McCoy”! It was so great to talk with LisaRaye and find out more on what it takes to be stylish, successful, a strong business woman and Ms. Independent rocking the world (while wearing white). Not only did LisaRaye bring incredible energy to our interview, she left me inspired to go after my dreams and always stay true to my vision. This beautiful woman is taking the reins of life into her hands and creating her own destiny. I hope you enjoy this feature as much as I enjoyed interviewing her……..
BB411~ When did you know you wanted to be an Actress? LRM~ When I was younger, I would bring everyone together and put on a skit or dance. When people would ask if I wanted to be an actress as a young girl I would say no, it didn’t hit me until after I had my daughter. I started modelling at first and that was the introduction to now what has become my acting career. My first movie was the Players Club with Jamie Fox and Bernie Mac. It was Ice Cubes directorial debut and it’s where it all got started. Then I starred in Will and Jada Pickett Smiths sitcom “All of Us” on the CW Network. Then I took some time away and became the first lady of Turks and Caicos, then came back and had the successful reality show the Real McCoy and then VH1’s Single Ladies. BB411~ If you weren’t an Actress and you could be anything in the world, what would it be? LRM~ Definitely an entertainer, singing and dancing around on stage. BB411~ Who did you look up to or had an influence on who you are today? LRM~ My Father, he was a business man and owned so many types of businesses. I would go in to car as he went around to check on each and was amazed at all that we had and all that he had accomplished. It taught me a great work ethic and how to be personable. LRM~ Yes, my Mom was a model and she use to dress up and I was like “wow that’s my mom”. BB411~ What is your favourite color? LRM~ It’s known that I wear white all the time, but actually green is my favourite color. Wearing white just kind of found me. I went away for a weekend and realized I packed all white. I realized how white complimented my look, it was so crisp and clean. LRM~ A little white dress, a little black dress, a classic pair of heels, a fitted jacket (especially at the waist) and accessories (diamond earrings and bracelet). LRM~ It’s a lifestyle, a combination of diet and exercise. Living in LA I like to go outside for hikes, be outside and see mother nature. I also have my trainer Don who keeps me moving and motivated. LRM~ To be able to share my experiences with people and encourage them to do things in their own life. LRM~ I’m the Global Ambassador for Susan G Goldman foundation. LRM~ It brings joy to my heart to know I’m responsible for uplifting and helping point someone in the right direction. LRM~ To be able to ignore the negativity when people say things that hurt your self-esteem. BB411~ Describe yourself in 3 words? LRM~ nurturing, funny and business minded. BB411~ What’s your skin care regime? LRM~ Creme de la Mer, Neutrogena makeup towelettes. I also go for a deep facial before and after my season. LRM~ C.O Bigelow lip shine in mint, I have one everywhere (purse, car, etc). LRM~ C.O Bigelow lip shine, MAC eyeliner in teddy and a tinted moisturizer. I also carry some blush to put on the apples of my cheeks to look like I have been kissed by the sun. LRM~ I love Johnson’s baby pink lotion. My daughter puts it on her skin and hair and when she comes to kiss me good-night I just love it (she’s my baby). Favourite fragrance is what I have worn since high school from Mary Kay called Angel Fire. BB411~ Do you have a best kept beauty secret that has been passed down to you (from your Mother or Grandmother)? LRM~ Don’t go to bed with makeup on! LRM~ Even though I’m a hustler, I am very sensitive. LRM~ Make the money, don’t let the money make you. LRM~ In 1 year, I see myself as a millionaire with my brand going strong. In 5 years, running my enterprise from a small remote island and with a partner. In 10 years, maybe a grandchild and leisurely living. LRM~ Do your homework, ask questions and share your knowledge with those coming behind you. BB411~ What is the one thing you want to be remembered for? LRM~ I do. I have a rainbow on my hip with a pot of gold at the bottom (for real). To keep up to date on LisaRaye be sure to follow her on Twitter , like on Facebook and Check out her Website for all she has going on.